Players pass the ball to each other until the start of the penalty box. 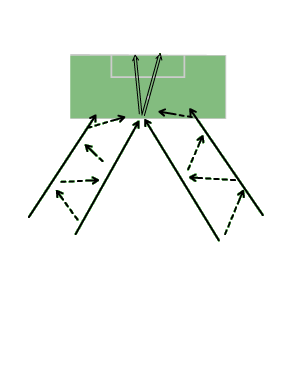 The inside players shoot and the ball is retrieved by the out side players. Players rotate to the other side.